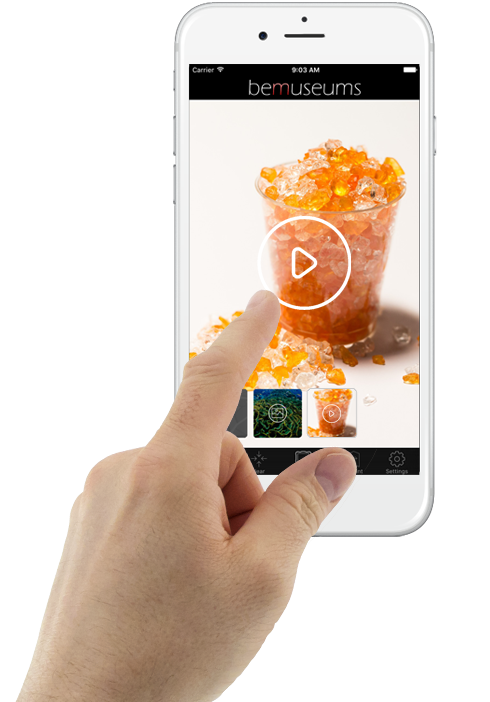 Dynamize your visit by showing another reality full of exclusive content. You will wish return to live more experiences. Dynamize your visit by showing another reality full of exclusive content. 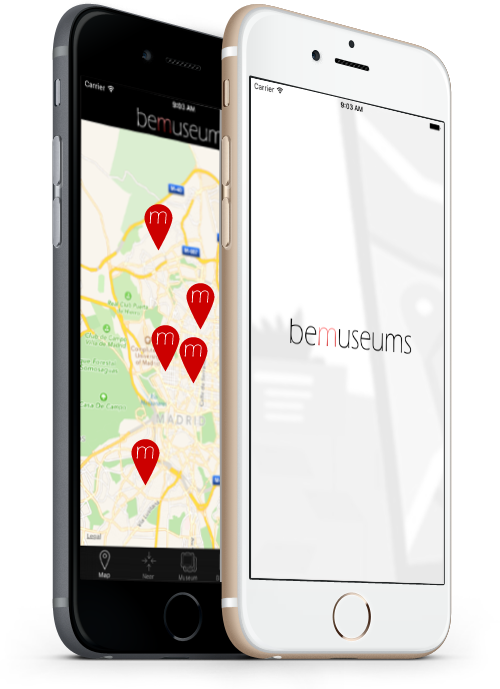 Do you want to discover nearby museums? Check how far are you and get organized to visit all. 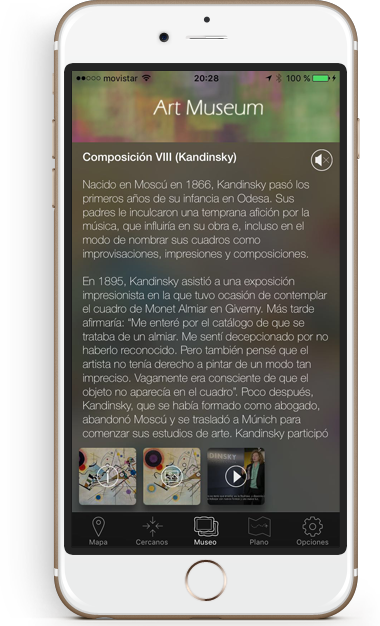 View the contents available of each museum . 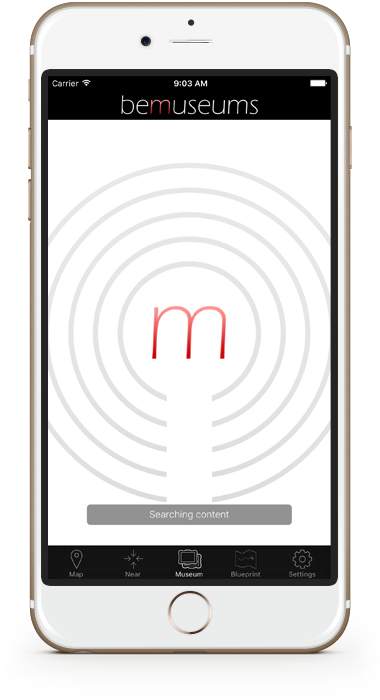 When approaching a museum or work, we will show you automatically exclusive content that will make you live a unique experience. 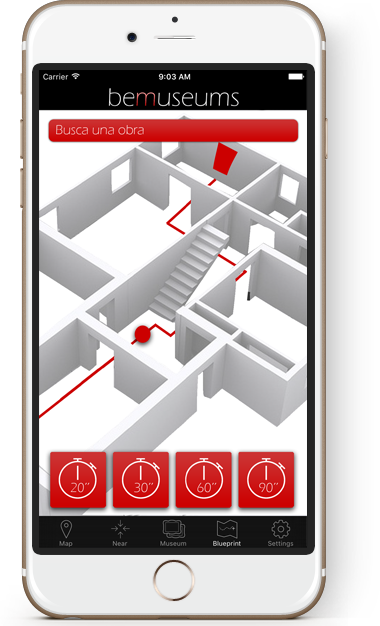 Check where in the museum you are located, use smart guided or even you can search some particular work. We will guide you on your visit. Displays the version of the app you are using, terms and conditions, preferences and other settings. This icon in the center of the screen indicates that the system is looking for museums and artworks nearby and have not yet been located. 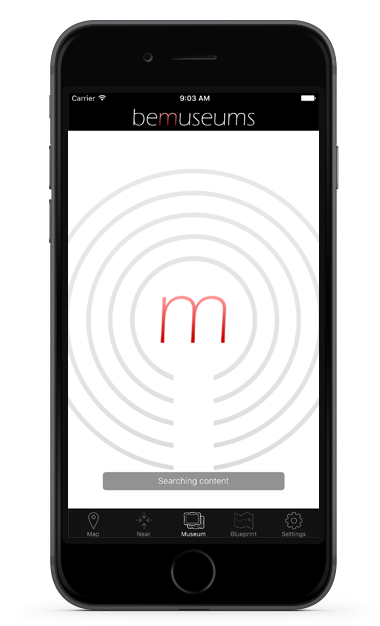 If the system do not detects a location equipped, the exclusive content will not display. Find museums around and check their distance. Decide how much time you have to visit the museum and choose an intelligent guides. Our tematic guides will show your favourite Artworks. Approaching each work, the system tells you by voice what you're watching. Enjoy the experience from any of your devices. 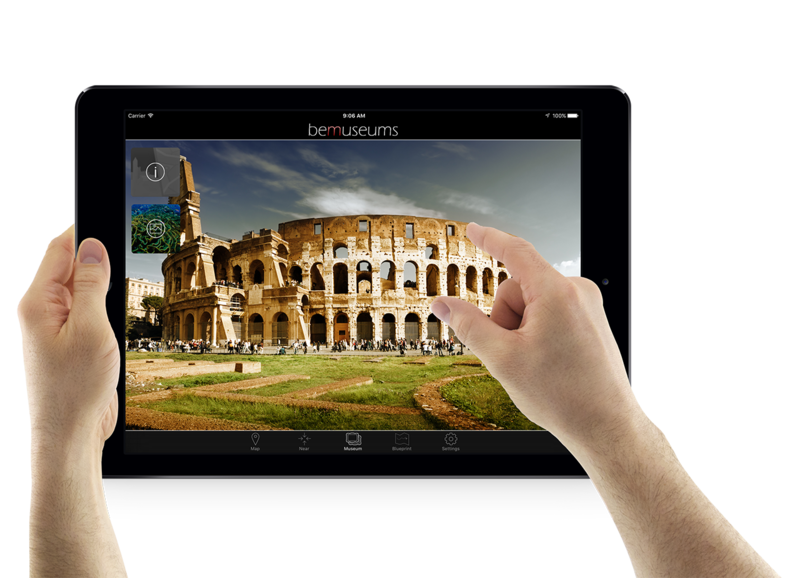 Download for FREE bemuseums NOW! An error has been occurred, please try again.